It's a small change, but a much cleaner end result. Aside from producing code that is cleaner and more readable to humans, another benefit of semantic tags is accessibility. Semantic code can be more easily interpreted by a device like a screen reader, allowing for a better experience for any users with disabilities. There are a few things to keep in mind about these new elements. The audio or video element will attempt to play one of the source files that is listed in between the opening and closing tags (it will choose the first supported format that is listed). If no supported format is found, the “Your browser does not support…” text will be displayed. The presence of the controls attribute will determine if the stop/start/play controls are displayed in the media player. HTML5 comes equipped with a whole arsenal of new INPUT types. Each one offers its own specific behavior. For instance, the <input type="number"> element is meant for... you guessed it, numbers. Within the element you can set all sorts of restrictions (minimum value, maximum value, etc.) using attributes. Some other new and useful INPUT types include email, url and range. In my opinion, one of the main advantages of using a specific INPUT type is a better experience for mobile users. Depending on the INPUT type chosen, most mobile browsers will display a special keyboard; ie. only numeric keys when <input type="number"> is used, or having specific buttons for ".com" when <input type="email"> or <input type="url"> are used. Just like with the new semantic elements, older browsers have a contingency plan for dealing with new INPUT types; they are simply treated as <input type="text">. While these elements officially aren't supported by HTML5, if you wrap some text in a <center> element and open your document in a browser that text would still be moved to the middle of the screen (for backwards compatibility reasons); but don't do that. The behavior accomplished by these elements can be achieved by using CSS or a different, supported, element. So there it is, just a quick introduction into some of the major changes introduced by HTML5. When you are ready to start writing your own HTML5 the World Wide Web Consortium offers a great tool for validating your code and making sure it adheres to standards: https://validator.w3.org/. Once you have a good grasp on HTML5 and want to start developing actual websites take a look at some of our previous articles on the Bootstrap Framework and diagnosing web errors with Fiddler2 to help you along. Here at IT Solutions, HTML5 plays a huge part in our web and mobile development projects. If you are looking to have a solution built, we'd love to talk to you. "HTML5". It's currently a buzzword when it comes to web development; but what is it really? A radical transformation from HTML as we know it? Not exactly. 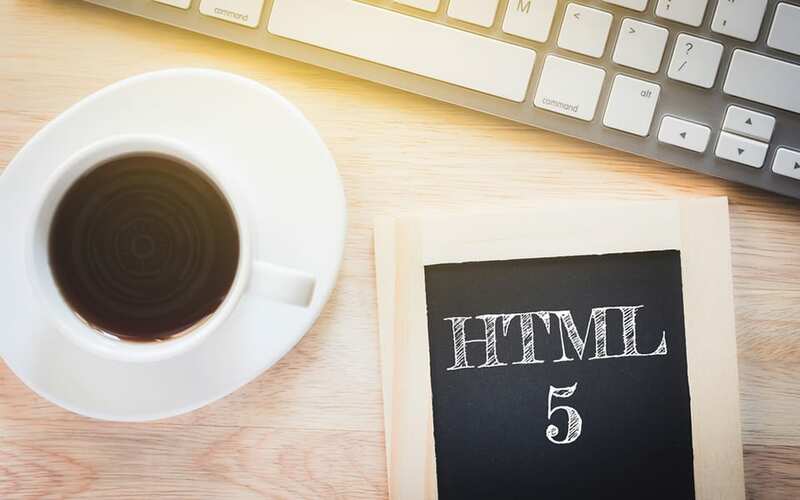 The syntax and core concepts of HTML remain the same, but the advent of HTML5 has added some interesting and useful tweaks, while eliminating some outdated practices. Let's take a look at some of the major changes. Starting from the top of your document, one of the first changes you'll encounter is the HTML5 doctype declaration; it's been simplified. Gone are the days of worrying about whether your code needed to follow STRICT or TRANSITIONAL standards; now, if you want to tell the browser that your document is HTML you just need to start it with a <!DOCTYPE html> declaration. One of the goals of HTML5 was a move toward more of a "semantic HTML", which means having your code be almost self-explanatory. This is accomplished by the addition of some new elements.